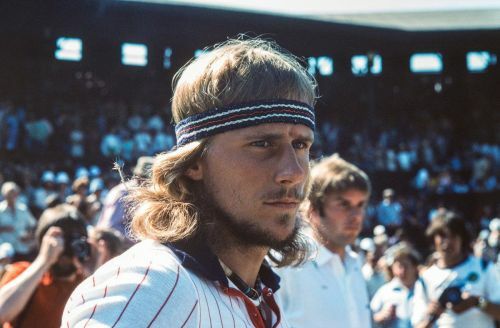 Swedish Tennis legend Bjorn Borg was an enigma who dazzled the tennis world in the 1970s and 1980s. He was the first man to master the art of winning effortlessly on clay and grass. A prodigious talent, Borg rose to prominence as a teenager and was a professional only till the age of 26. His decision to retire at the peak of his game at such a young age certainly deprived tennis fans of watching more of his brilliance. Known as the 'Ice Man' or 'Ice Borg' for his on-court and off-court demeanour, Borg possessed exceptional mental toughness. His heavy topspin, superior two-handed backhands and ability to serve-and-volley on grass and stick to the baseline on clay make him the only player to have mastered the art of winning on clay and grass by tinkering and making small adjustments to gameplay. Borg featured in the Australian Open only once as a 17-year-old and never played in Australia again. He was a 4-time runner-up at the US Open and had he played tennis for 5 or 6 more years, he would win a lot more Grand Slams than the 11 which he won. One of the most difficult things to achieve in tennis is winning the French Open and Wimbledon back-to-back in the same year. On one hand, you have the clay courts of Paris where the surface is slow and bounce is high and on the other, you have the fast-paced lawns of Wimbledon. The key part is there is very little time to prepare for athletes to transition so quickly from one surface to the other. In the earlier days, it was more difficult because mandatorily in those days, Wimbledon used to start on the 4th Monday of June. Now, players get an additional week to prepare for the Championships. In the Open Era, barring Borg only Nadal and Federer have achieved the 'Channel Slam' winning both the French Open and Wimbledon in the same year. 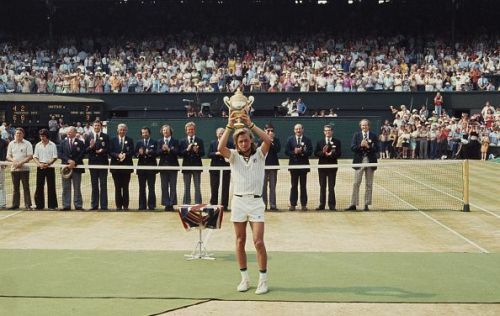 Borg stands apart as he went one step ahead and became the only player to achieve a hat-trick of Channel Slam wins (in 1978,1979,1980).